Life can sometimes be unfair and terrible injuries can cause a huge impact on lives. With the most recent death sentence officially passed on Boston Marathon Bomber, Dzokhar Tsnarnaev, we are easily reminded of the damage and pain caused. Alongside 3 dead victims, there are over 250 people suffering a range of injuries as a result. If there is one small sliver of hope, it is the fact that history is rife with colorful examples of people turning their lives around. In recent years, the world has grown to love and celebrate the Paralympic games, which serves as the perfect example. Here, people with various disabilities are able to compete on the national stage, achieving goals they might not have otherwise dreamed of. While everyone can’t compete in international sports, here are a few simple hacks and tricks to turn an injury into a beneficial, personal success. 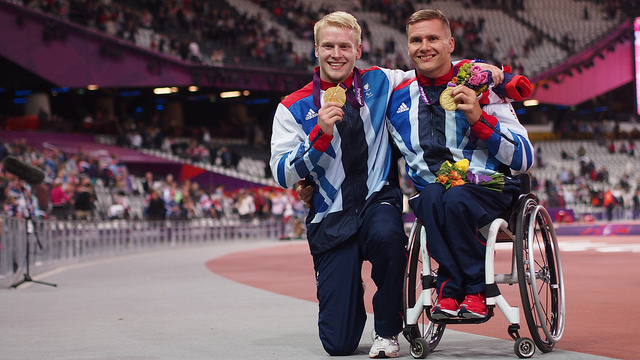 If the Paralympics showcase anything, it is that everyone can be a hero. Every athlete in the games has faced personal hardships and has worked through them to reach where they are, regardless of who wins any particular event. The lesson learnt here is to simply do everything you can to be an example to others. Think of it this way: what would motivate you to do more? Your injuries might have changed your life, but that’s no reason to slow down. If you just give up now, how would others feel any motivation? One of the biggest changes with any physical injury is learning what you can and cannot physically do. This, of course, will vary depending on the type and degree of your injuries, but even the smallest change can have a massive impact. Instead of focusing on the negatives (what you can’t do), it is much wiser to focus on the positives; what can you do? Everyone needs an outlet or hobby in life and you are no exception. Whether it is sport, art, music or anything else, putting your heart and soul into something gives your life focus. Everything else simply falls into place afterwards. If you have something to put your heart into, you’re not focusing on the negatives. Not only does this give you something to do, regardless of your disabilities, but it can also provide an emotional or creative outlet to help deal with your situation. More often than not, we look at injuries through the negative effects, naturally. However, this has the knock-on effect of feeling negative about the respective person as a whole, all because of their physical health. When you have an injury, it is easy to feel hopeless as a result of this thinking process. The important thing is that, as a goal, it encourages you to take smaller steps and achieve something. Goals give purpose and direction, so you will find yourself making positive, beneficial decisions in your life. Without these goals, it is much easier to give up. If you have found some form of creative or emotional outlet for your life, why not combine the two? If you have a hobby, sport or other activity, this can offer an easy goal to achieve. Perhaps one week you want to achieve something small, such as running a short distance, and build this up over time? Small steps can lead to big successes before you know it! When it comes to disabilities or major, life-changing damage, you’re never alone. The world is full of people who face such challenges on a day to day basis. As such, you’re never too far away from friendly support from someone in a similar position. You can likely find support groups and other associations in your nearest town, city or even hospital. Not only will this give you something extra to do, but having friends and contact with people that understand your situation will inspire you to do more and tackle life head on. • First of all, it reflects poorly on anyone who is disabled, since it suggests people with serious injuries do not need to try or be active in the world. • Secondly, it stunts your growth as an individual. By making excuses and falling back on your health, you have an excuse to get out of many aspects of life. By ignoring your disability, you can push on, do better and achieve more. In other words, act as if your injuries aren’t there. If you can do something, do it! This way of thinking is a simple mental hack that changes how you act and behave in life. By trying to ignore your disabilities where possible, you will subconsciously achieve much more. Living with any major injury is never easy, but it never has to be the end, either. Life always goes on and, while you’re alive, there is hope. These 5 simple hacks should hopefully serve as inspiration for you. So stop reading this post and go live your life! Marco Bendinelli is a personal injury attorney practicing in Denver, Colorado and the founding shareholder at Bendinelli Law Firm. He is devoted to representing individuals who suffered injury caused by the negligence or wrongful conducts of others. He also finds time to motivate and inspire through his writings.